Between 1973 and 1982 Albanian dictator Enver Hoxha built hundreds of thousands of concrete bunkers intended to shelter his people in the event of an invasion. 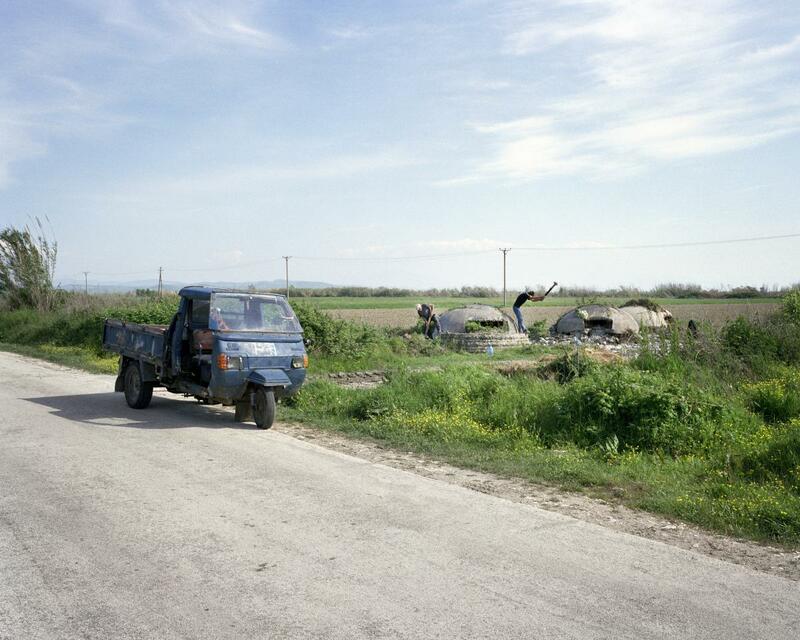 Thirty years after his death the bunkers still wait on the hilltops, along the beaches, in the fields and scattered throughout the cities of Albania. Some of them are being put to new uses. Enver Hoxha (1908–1985), the isolationist dictator who ruled Albania from 1944 until his death in 1985, was convinced that his country faced imminent invasion from its neighbours, from NATO or from the USSR. For Haki Isufi, this meant that from the age of 12 he underwent an hour of military training every day at school. By the time he was 14 he had already been given a Kalashnikov and been told to practise firing it from the embrasure of an eight-ton, steel-reinforced concrete bunker—easy to do, since there were two in his yard. These two-person shelters belonged to an estimated 750,000 bunkers built by Hoxha’s regime. Construction began in 1967 and escalated dramatically in the late 1960s after the invasion of Czechoslovakia by the Warsaw Pact countries that had once been Albania’s allies. The ubiquity of the bunkers meant that Isufi could defend against invaders from wherever he happened to be when disaster struck, from his school, backyard, or workplace. ‘It made me feel very safe at the time,’ he says. No one knows exactly how many of these concrete pillboxes were constructed, but estimates range from 500,000 to 1,000,000. Most of them are small qendër zjarri, bunkers like Isufi’s. They stand 2.1m (6.9ft) high and consist of a cylindrical base 1.8m (5.9ft) in diameter with a domed roof featuring a narrow, horizontal embrasure. Their 0.3m (11.8in) walls are further reinforced on the front-facing side by a semicircular outer wall and 0.6m (23.6in) of packed dirt. There are also larger pikë zjarri bunkers, concrete domes 8m (26.2ft) wide and 5m (16.4ft) high, designed to protect up to ten occupants, whose 1m (3.3ft) walls were capable of defying continuous, close-range artillery fire. 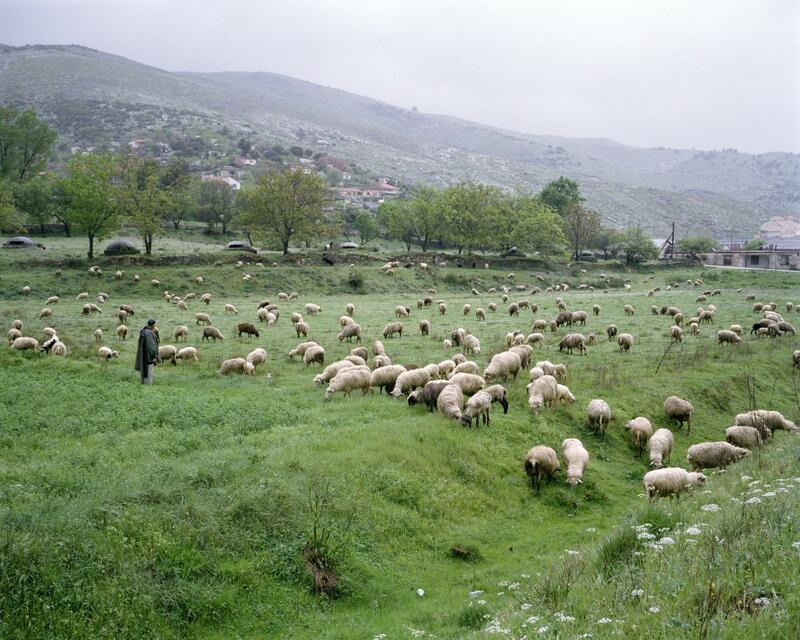 The general consensus, based on sparse military records, personal recollections and contemporary research, is that there were 24 to 27 qendër zjarri bunkers and one pikë zjarri bunker per square kilometre (0.4 mi.²), an expensive insurance policy against the foreign ‘imperialism and revisionism’ Hoxha feared. The bunkers dotted urban centres and bucolic hilltops, playgrounds and cemeteries, and of course schools and apartment complexes. 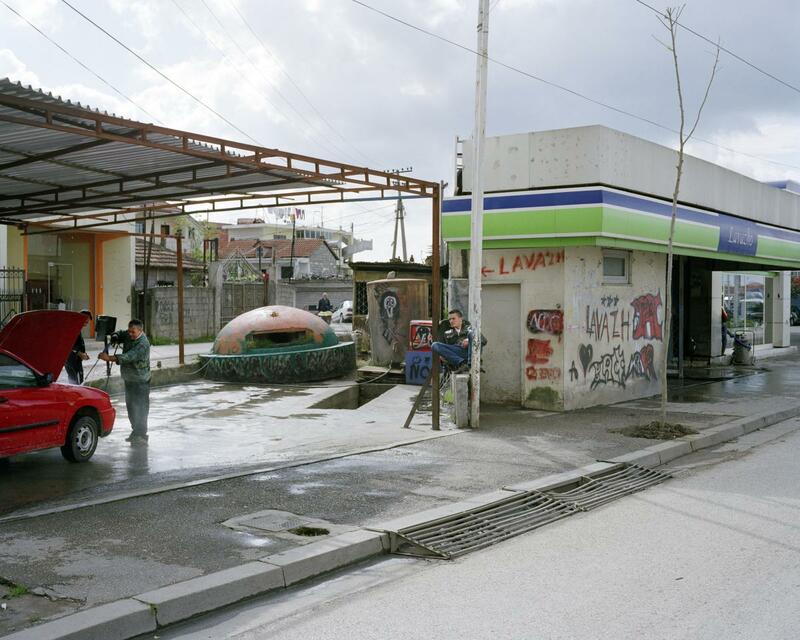 The austere concrete structures represented Albania’s tradition of tough self-reliance: in the Second World War, it was the only country to liberate itself without direct foreign assistance. Ironically, although they were built to withstand intense bombardment in a ground invasion that never came, they are succumbing to the peacetime forces of economics, public safety and abhorrence of the past. Isufi says he sold the steel from one of his bunkers, which took a whole weekend to destroy, for €300 (US$400), more than the €260 (US$350) average monthly salary of an Albanian. Still, he kept the other bunker in his backyard as a house for his guard dog, and across the country others like him have repurposed them as chicken coops, hay storage, workshops and more, converting these relics of isolationism into a functional manifestation of the country’s embrace of capitalism. 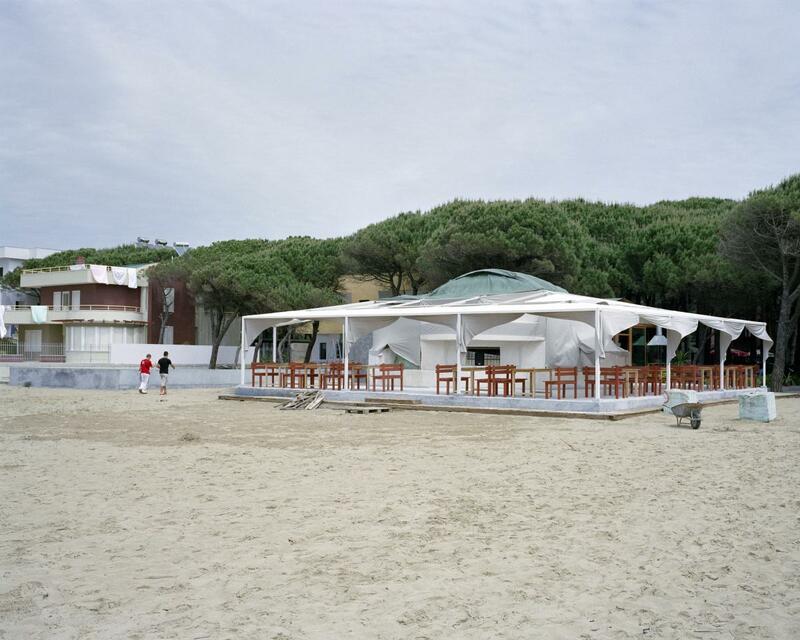 In Golem, Kujtim Roci turned a beachside bunker into the core of a restaurant and hotel complex. In 1991, as communism collapsed, he left his job as a plumber and began distilling raki, Albania’s national alcoholic beverage, in a pikë zjarri near his home. He requested permission from the Ministry of Defence to convert the bunker into a restaurant, the Elesio Grill, named for his son. The bunker first served as a café and bar, with tables inside and outside. Now, Roci has built three storeys over the bunker, which continues to function as a wine cellar and storage area since its temperature remains consistently cool year-round. The top of its dome protrudes into the centre of the first-floor dining room, and Roci took a break from frying fish to show it off. A number of bigger beachside bunkers serve as restaurants and cafés, but it’s more common to find them used to house toilets, changing rooms and storage for small enterprises that rent beach umbrellas and chaises longues to tourists. A few kilometres down the coast, Fatmir Kadziju is serving soft drinks to a group of high schoolers from neighbouring Kosovo. The concrete shape of his bunker/refreshment stand looms over their volleyball game, providing some shade. Unfortunately, he says, not all of his neighbours wanted to save these hulking vestiges of totalitarianism. In Hoxha’s birthplace Gjirokastër, one of two ‘historical cities’ the dictator sought to preserve in their pre-First World War Ottoman style, a bunker at the base of a cliff has been converted into Pub Elnis, complete with black pleather sofas and the requisite dim lighting. A younger generation sees them as a boon for boosting tourism. Conceptual design artists Elian Stefa and Gyler Mydyti have created Concrete Mushrooms, an open-source manual for re-purposing bunkers into businesses that was launched at the 2012 Venice Biennale. 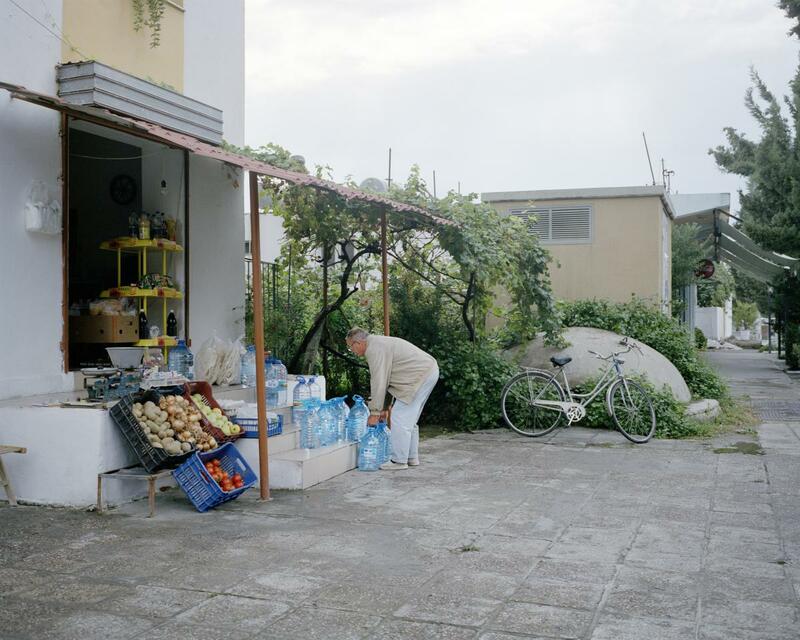 ‘Bunkers are an essential part of Albanian identity,’ says Stefa, who was born in the resort town of Vlore, and played in its beachside bunkers as a child before moving to Italy after the Albanian economy collapsed in the mid-nineties. ‘They represent 45 years of communism that changed this country in so many ways. They might be a scar, but a scar is just a good story to tell.’ He worries that the country is not undertaking a comprehensive plan to preserve at least some bunkers, and suggests that some areas preserve the original area density of bunkers for posterity. All of the bunkers are technically property of the Albanian Ministry of Defence, and technically businesspeople must apply for ownership, but in the freewheeling 1990s, monitoring bunker use—or enforcing laws against their destruction—was not a top government priority. Stefa and Mydyti, an ethnic Albanian from Prizren, Kosovo, say their goal is to convert a symbol of burdensome xenophobia into a resource for hospitality, while promoting sustainable eco-tourism. Their bilingual handbook provides detailed instructions for converting bunkers into campsites, kiosks or cafés depending on their size and location and then provides guidance on working with the local authorities to realise the plan. One suggested alteration would turn a bunker into a sleeping pod with an investment of just €150 (US$200). The pair also provide blueprints for the transformation of entire stretches of beach. They have even identified a number of potentially lucrative, bunker-rich sites, based on location, proximity to tourist attractions, beaches and hiking trails. Stefa is part of a generation of Albanians educated abroad who are just now returning to a changed Tirana—and who don’t see the bunkers as negative. ‘For me as a child it was just a bunker,’ he says. ‘It was like any other big rock. Why would I be curious about what a rock was doing in a given place?’ He only grew interested when hosting non-Albanian friends who were awed by the bunkers’ novelty. He is among a group of young urbanites striving to save the bunkers, not only as an object of memory, but to foster a nuanced sense of humour about the tortured past. Though Albanians are divided on the question of whether such a potent symbol of totalitarianism can be converted into something good, at least some among the trendsetting post-Hoxha generation want to celebrate the bunkers—literally. Zhujeta Cima founded Bunkerfest in 2010 to ‘spread the love’ for bunkers and turn a spotlight on them for a weekend of camping, music and fun. Bunkerfest 2011 and 2012 featured dance parties inside actual bunkers, but those bunkers were destroyed, so Bunkerfest 2013 was held amidst the bunkers on Dajti Mountain, 26km (16.2 mi.) 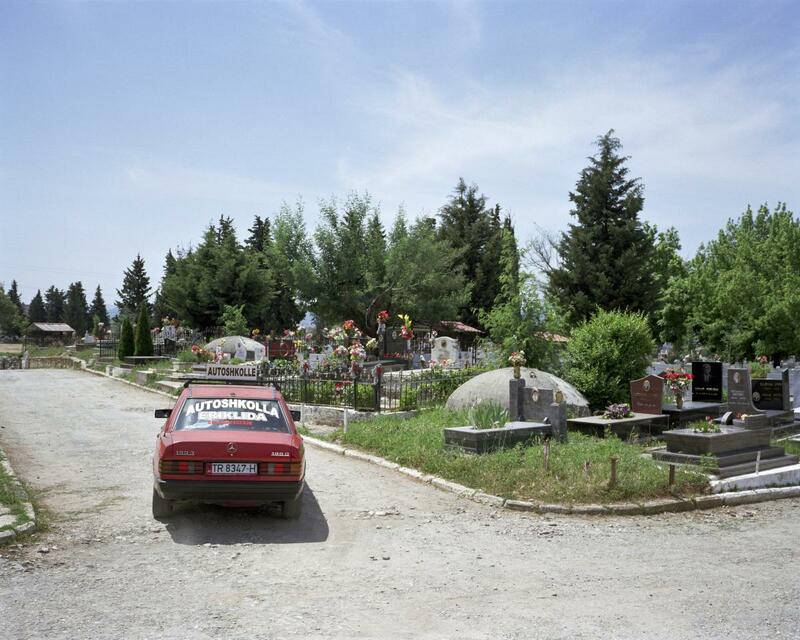 east of Tirana, drawing bands, DJs and festivalgoers even from former Yugoslavia, one of Hoxha’s chief enemies. Hundreds of thousands of concrete bunkers dot the Albanian countryside and adorn its city streets. Never used for civil defence, today they are being repurposed in surprising ways. At present it is impossible to say how many of these relics of the former regime will find new uses and how many will be destroyed. Isufi says that his remaining bunker will remain for as long as he lives in his home. He is content that his dog can sleep inside it and guard his property from its roof during the day. Valerie Hopkins is a Pristina-based freelance journalist who reports on Eastern Europe and the Western Balkans. 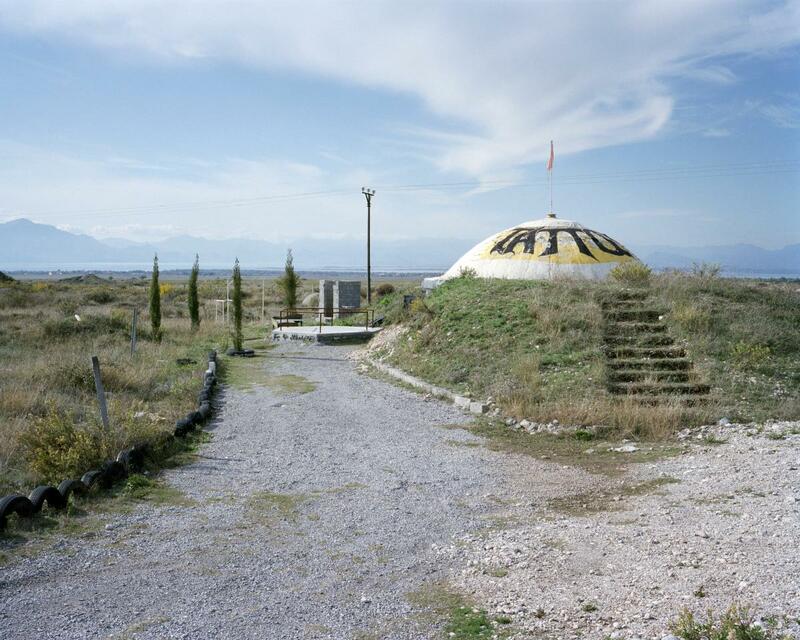 Dutch photographer David Galjaard explored Albania’s bunkers as a reflection of a country transitioning from its isolationist past.